The information within this book, given to me by the Source Entity, is specifically designed to make us think. To make us change our ways, to recognize who and what we truly are, to come out of our incarnate slumber and ascend. However, to do this we need to be vigilant. 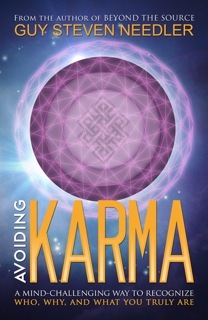 Each excerpt within Avoiding Karma should be read in isolation to allow us to work with it to the very best of our ability, absorbing that which is presented becoming free of the constraints of the physical, shrugging off Karma, ascending in the process. The information should be read in a maximum of two excerpts a week, creating a personal commitment to follow that which is presented. Or, better still, read one a week and be robust in your application of the advice, observing your own performance, making corrections where necessary, doing it with love in your heart, leading by example. Love transcends Karma, it is all about the multiverse. Self Love, and the love of others is therefore a key to ascension, and when one has finished this book one will be “In Love”, “In Ascension” – Avoiding Karma in the process. Anticipation is a limiting thought process that is based upon expectation of that which is a desired outcome. Desire being a condition of specific focus on the material. Anticipation results from the individual’s expectation of a preferred outcome, focusing the attention onto the outcome rather than the wider spiritual process resulting in the outcome. Should the anticipated outcome not be that which is expected, then dissatisfaction and/or disappointment are experienced, which are a link to working with the smaller “individuals” incarnate picture rather than observing the result or outcome from the larger spiritual perspective, of what is experienced being designed to help one evolve, no matter what the outcome. One should therefore accept that which is presented to one, as being that which should be worked with, allowing time to work on other evolutionary opportunities, rather than planning for a certain “anticipated” outcome, wasting time thinking about where and when the outcome may happen and what it will be. Avoid debt to anyone and anything. Either financially, materially or benefit in kind. Debt is a control factor that leaves one under the control of the debtor. Debt of any kind is a link to the physical, tying one into the commitment of paying back the debt with interest, thereby compounding the debt and creating low frequency thoughts such as resentment and anger, towards the debtor. One should only have and recognize one debt. That which all entities sign up to during their creation, to experience, learn and evolve, passing on this evolutionary content, this debt of creation, to our creator, whilst maintaining this evolutionary content oneself. This is not a physical debt, linking us to the low frequencies of the physical; it is a debt of pleasure, of joy, of delight, of love, of desire to help our creator evolve by one’s own efforts. In this instance the best way forward is not to protect one’s self from the low energies associated with such thoughts but more to be in acceptance that one has placed one’s self in that position. One can therefore elevate ones frequencies when one recognizes the opportunity of personal growth from such a situation, working in joy at the prospect of paying back that which is owed, with interest, as a thank you to the debtor for helping us out when required, without resentment of self (for being in the situation) or debtor (for charging interest) thereby breaking a Karmic link. I do wish it was written in the first or second person instead of in the third person, though. I get tired of reading “One” this and “one” that. For me, it makes it harder to read and less personal. It certainly is the proper formal way to write, though. I’m sure I’ll want a copy as soon as it comes out. I find all your books fascinating! More than a book! Knowledge in a can might be a more catchy title?